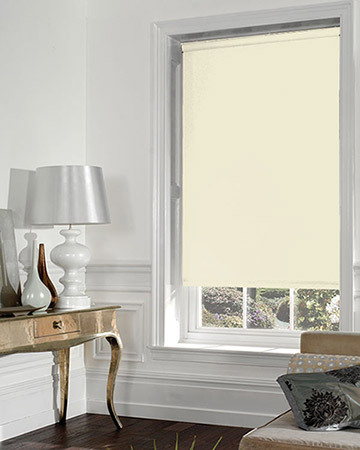 Significant discounts are being provided online on selected RRPs for products in this collection of made to measure cream blackout roller blinds, recommended for all types of interiors thanks to their versatile design, efficiency in blocking out natural light and flexible functionality. UK manufactured, these shades can be tailored in virtually any dimensions and can be customized to any preference in design and operation. Special opaque fabrics, resistant aluminium tubes and smooth operating controllers combine to result in a top quality window covering, suitable for installation either inside or outside the recess. 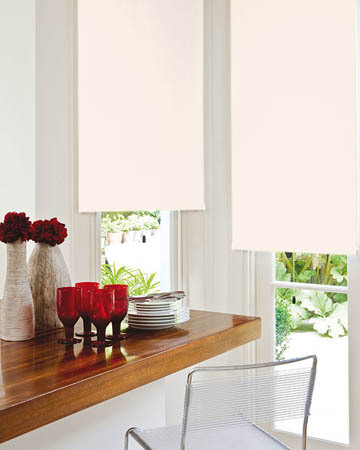 In terms of operation, these cream blackout blinds can be supplied with either a left or right positioned chain control in white or metal finish, or with a spring loaded mechanism. 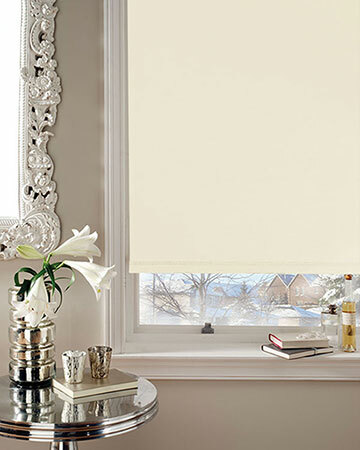 For an elevated look, these cream blackouts can be customized with several decorative finishes such as braids, scallops and cafe rods, all provided in several designs to meet both classic and modern home and office decors. A top cassette designed to enclose the roller and the mounting mechanism, available in white plastic fascia or in matching or contracting fabric fascia, can be also ordered online.